In Kumogakure no Sato, Hidden Village of Kaminari no Kuni, there are Five powerful tools. 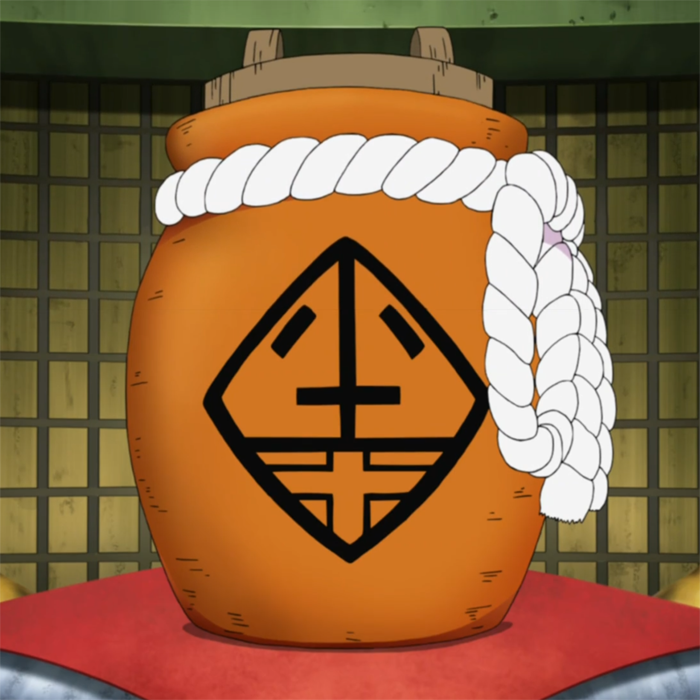 Items said to have been owned by the sage of the Six Paths himself, They are considered to be some of the most powerful tools to have ever existed in the Ninja world. 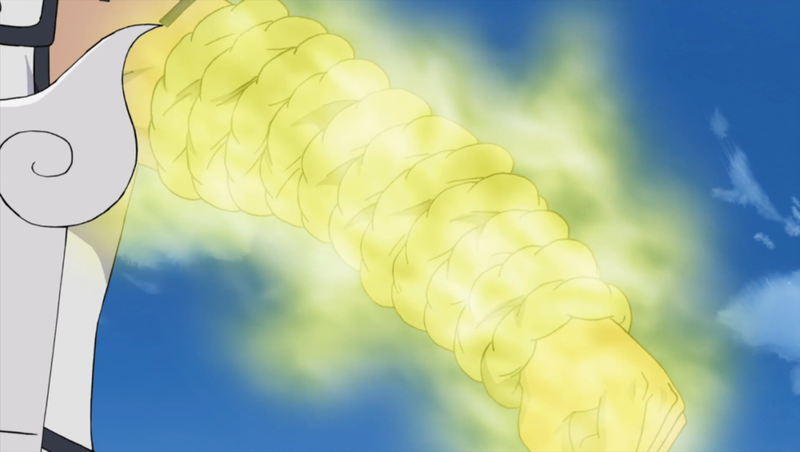 It has even been said that those who have mastered the tools can use them to surpass even All Five Kage. 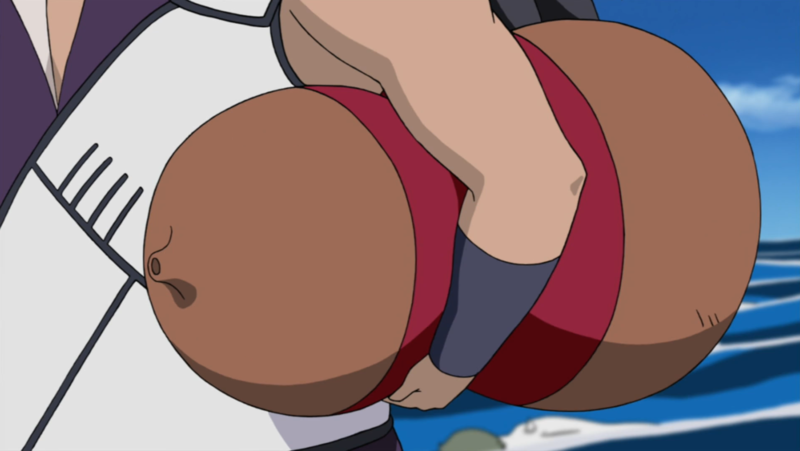 However their is a downside to them, their usage consumes so much Chakra that only those who have undergone special training can use them. All of the treasures require at least 200 Chakra to be able to use. Description: The Bashōsen is a large fan that is able to generate all five of the basic elemental chakra natures (Fire, Wind, Earth, Lightning, Water). To do so, the user need only say a mental command, which produces substantial amounts of the desired element when the fan is waved. 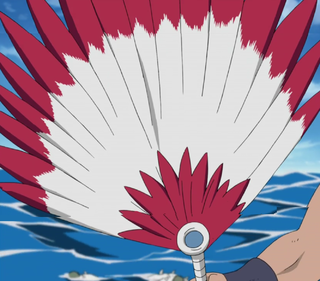 The fan could also be used as a shield and is able to defend against jutsu such as Storm Release: Laser Circus which is an A rank jutsu, though it consumes chakra to do so. 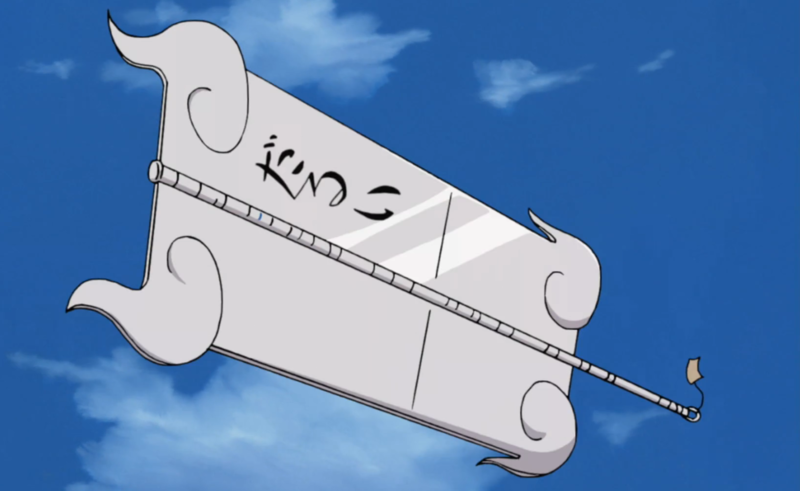 The user uses this weapon as a conduit for their own unique chakra ability to help reduce the drain of the weapon itself. Making it cost 10 chakra per use instead of 40. Description: A giant brown-coloured gourd with a red cloth around it. It is able to take a person's word soul (most used word) hostage by saying the verbal command "record" After the word soul has been drawn out by the Kōkinjō and then severed from their body by the Shichiseiken, it is absorbed into the gourd. Completing these conditions "curses" the victim, if they utter the word they have said the most during their life, they will be sucked into and trapped within the Benihisago. Saying a homophone of their most frequently spoken word, or even saying nothing at all for a certain amount of time, will also trigger the gourd's suction. If a victim starts to be sucked into Benihisago, the suction will stop if their most-used word changes. Costs 35 Chakra to 'Record', 10/person/post to keep target 'Cursed'. 50 Chakra to release anyone trapped in the gourd. Description: a large pot that had the ability to seal anyone within it, if the target responds when called by the wielder of the pot. If the person responds, the pot records their voice and then seals them. It is similar to the Benihisago in function, but more advanced, as less preparation is required. The pot has a stylised kanji for "lightning" (雷, kaminari) on it and a thick rope tied around its rim. Whatever is sealed into the pot cannot escape it,  and can keep those brought back with the Summoning: Impure World Reincarnation technique sealed even after the summoner releases the technique. Costs 100 Chakra to seal someone.